Spring Promotions Bingo Hero March 2015 - Winning Spree! Mobile Bingo Bonuses love Spring, with its longer days and flowers blooming. So when we add in the amazing promotions from Bingo Hero we know you’ve got loads to look forward to. Bingo Hero’s offers run from 01st to the 31st March 2015 and are eligible for depositing players only; so you never know what you could win! Join Bingo Hero every day, and whenever you log in you’ll receive a £1 daily bonus. So by the end of the month you’ll have £31 to game with. If you fancy a little of the Irish luck then check out the great featured slot games Honey Bees, Rolling in the Dough and Wild Vegas. Every time you play these games you’ll earn points which can be changed into extra gaming credit. If you wager £50 you’ll receive 1 point and if you trade 10 points you’ll get £2 cash back. The 2015 Cricket World Cup Season is on, so try your hand at Bingo Hero’s new game ’80 Bingo Bouncer’. With 9 big bouncer games played at the top of every hour from 5pm to 1am and cards costing 15p, you’d be crazy to miss out. How does 8 hours of complimentary bingo, four sessions a day sound? Well join Bingo Hero in their 90 Room where there’s a £2 pot every game and if you’ve wagered £20 on bingo the previous day you’ll receive 6 strips. To find out game timings check out the promotions page. For you all St Patricks Day fans out there you’ll want to try out the Bingo Hero 80 High Stakes Room, where you can win a guaranteed £25. Tickets cost 25p and you can test your luck and play a game every alternate hour. 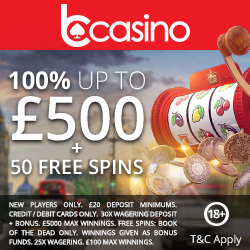 Throughout March play 12 seeded games every day with a £3 pot per session and you could win £1,000 and additional perks; there’s one game to play every alternate hour and cards cost 0.03p. For those of you who have never played with Bingo Hero before then register today and you’ll receive £15 bonus credit, no deposit required. 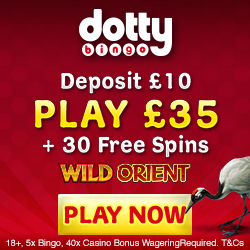 After the welcome bonus is gone you’ll receive a 300% cash match bonus for your 1st deposit, plus £30 worth of bingo tickets. The bonuses don’t stop here though because from the 2nd deposit onwards you’ll receive a reload bonus, plus chat games, refer a friend bonuses and entry to their loyalty scheme. Bingo Hero accepts the usual banking methods including Credit and Debit cards, Click2Pay and Neteller. So if you’re ready to claim your £15 credit simply head to Bingo Hero.